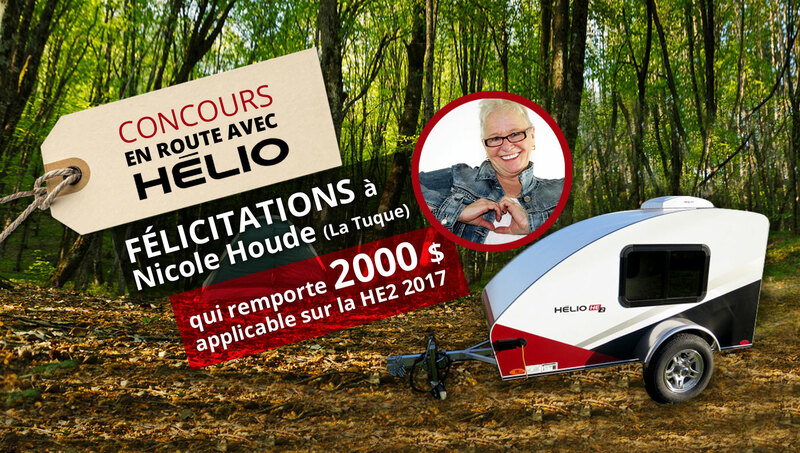 Congratulations to Nicole Houde from La Tuque, Quebec who won $2,000 on her HELIO HE2 2017 ! The draw took place on November 15th at 5 pm at HELIO Showroom in Lavaltrie, Quebec. This contest was open to all new HELIO’s owners who purchased an Helio travel trailer during the period from August 15th to November 15th, 2016.